Parliament: The parliament consists of two houses; the Senate (Upper House) and the National Assembly (Lower House). The Senate is a permanent legislative body and symbolizes a process of continuity in the national affairs. It consists of 87 members. The four provincial assemblies, Federally Administered Tribal Areas, and Federal Capital, form it Electoral College. The National Assembly has a total membership of 342 elected through adult suffrage. Suffrage: 21 years of age; universal; separate electorates and reserved parliamentary seats for non-Muslims. Administrative Divisions: 4 provinces (Balochistan, North-West Frontier Province, Punjab, Sindh), 1 territory (Federally Administered Tribal Areas), and 1 capital territory (Islamabad). Note: The Pakistani-administered portion of the disputed Jammu and Kashmir region includes Azad Kashmir and the Northern Areas. Constitution: 10 April 1973, suspended 5 July 1977, restored with amendments 30 December 1985; suspended 15 October 1999. By March 2003, The Constitution of Pakistan had been fully restored. The restoration of the Constitution was carried out in phases on November 15, 2002, November 24, 2002, December 31, 2002 and March 12, 2003. Elections to the Provincial Assemblies and National Assembly were held on October 10, 2002, and elections to the Senate were held on February 24, 2003. The Pakistan Flag:The Flag was designed by Quaid-i-Azam Muhammad Ali Jinnah. It is bottle green in color with a vertical white band, a white crescent in the centre and a five-pointed star. The significance of the colour and symbols used in the Pakistani Flag is as follows: The white and dark green field represents Minorities & Muslim majority, respectively. The crescent on the Flag represents progress. The five-rayed star represents light and knowledge. National Anthem: The national Anthem of Pakistan is comprised of verses by the poet Abul Asar Hafeez Jullundhri, and music composed by Ahmed G. Chagla. 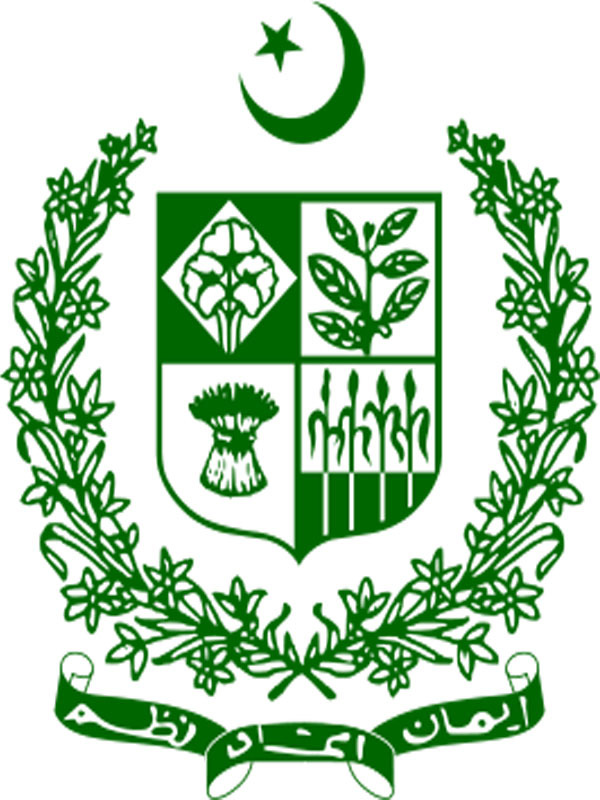 The anthem was adopted by the government of Pakistan in 1954. It reflects the idealism of the founders of the nation and hope for Pakistan's unity in the future. To the right you can find the anthem written in Urdu and below translated into English. Follow the link below the English text to hear a recording of the anthem. Embassies of Pakistan Worldwide: Hosted by Travel & Culture Services of Pakistan.